There are few better known companies in America than Crayola. 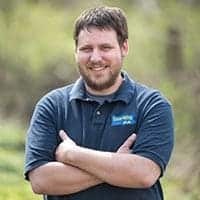 Based in Pennsylvania’s Lehigh Valley, this company produces crayons and other art products used by nearly every child in America. In fact, they produce three billion crayons a year, which is enough to circle the world six times. 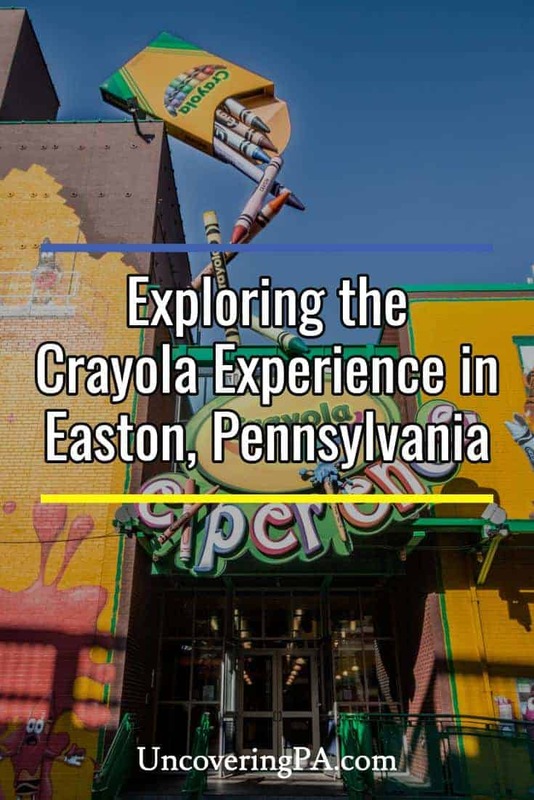 Just a few miles from their factory is Easton, PA’s Crayola Experience, an interactive art space that’s perfect for children of all ages. Opened for the first time in 1996 (and since expanded to locations in Orlando, Florida, and Bloomington, Minnesota, and, in early 2018, Plano, Texas), the Crayola Experience allows visitors to create unique pieces of art using Crayola crayons, watch live shows, and enjoy many interactive elements. 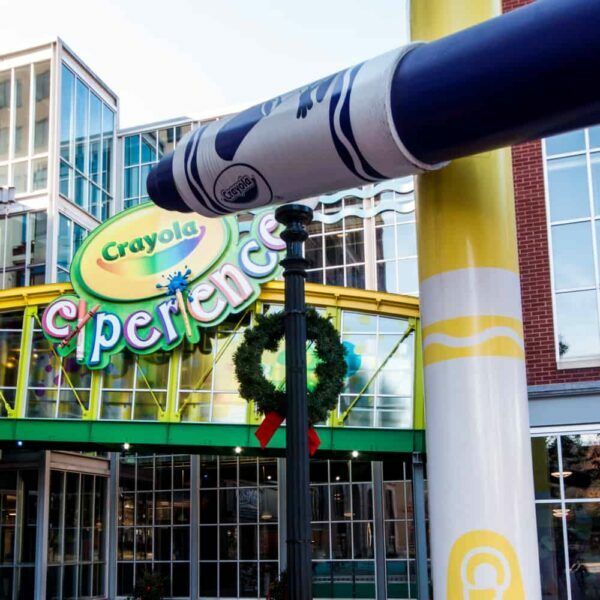 The entrance to the Crayola Experience in downtown Easton, PA. 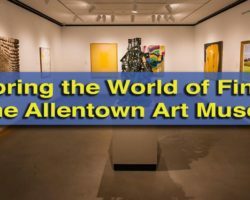 I recently was invited visit the Crayola Experince in Easton with my three-year-old son. Going in, I was unsure whether or not he would be too young to enjoy much of what was there, but discovered that nearly all of the activities were well-designed to be enjoyed by a variety of ages. After walking through the large crayons outside the entrance, we got our tickets and a few tokens that are used for a handful of activities inside. Those wanting more tokens can purchase them inside. As recommended, we started on the fourth floor and worked our way back down. 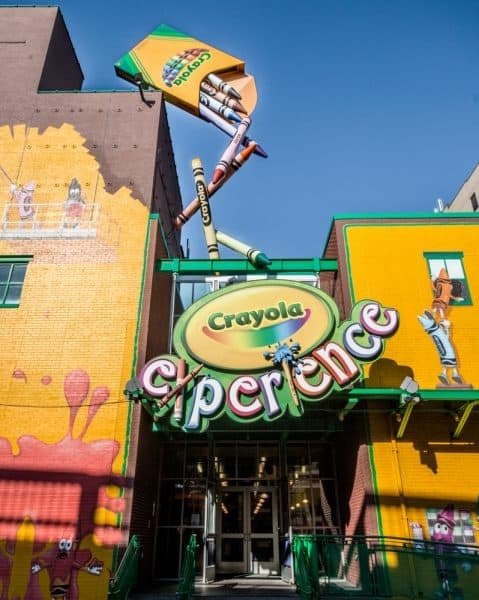 The Crayola Experience advertises having 26 hands-on activities, so we knew we were in for a day of fun. The fourth floor features several activities including the chance to melt a crayon into a unique piece of art or mold a crayon into a variety of shapes. Despite being on the younger side, my son really enjoyed the activities on the floor with a little help from his mom and dad. Creating a piece of melted crayon art at the Crayola Experience. I thought it was very unique that the activities for melting crayons utilized authentic Crayola crayons, which gave it a nice touch. These activities also gave him a fun piece of art and a unique-shaped crayon (he chose a race car) to take home. The third floor continued the fun activities with a large water table and a pretty incredible two-story, indoor playground dominating the space. While neither of these activities had anything to do with Crayola crayons, that didn’t make them any less fun. The water table, called Water Works was not only fun, but also educational. It is designed as a replica of the canals that used to run through the area. While not as detailed as what you’ll find at the nearby National Canal Museum, my young son had a great time playing with it, and older kids would learn a bit about how canals worked. The water table is both fun and educational. The large playground, which actually extends up into the fourth floor, might be fun enough to spend the whole day exploring. Kids of all ages, from my three-year-old son all the way up to preteens were enjoying climbing on this massive play area. For kids that are tired playing on the playground, it is surrounded by tables with coloring sheets and crayons. 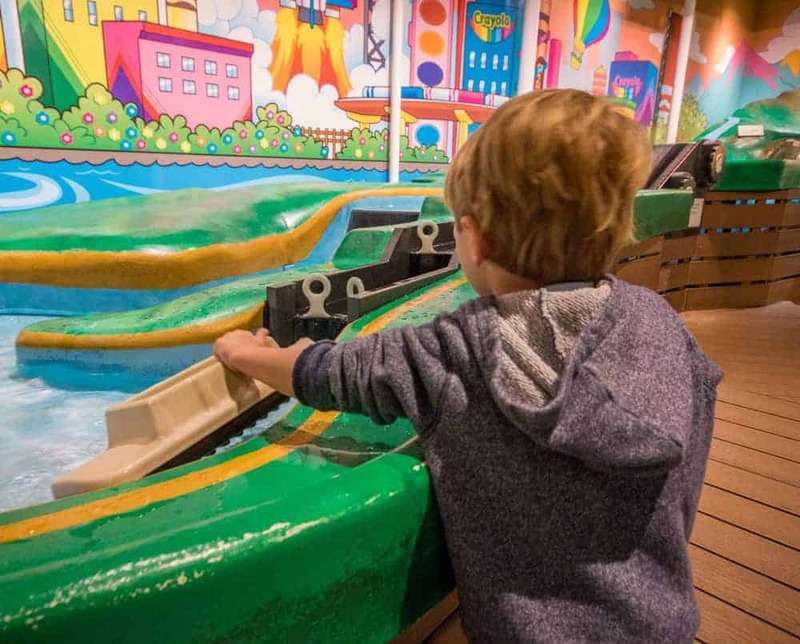 The second floor of the Crayola Experience features a smaller play area for younger kids, along with several additional activities. 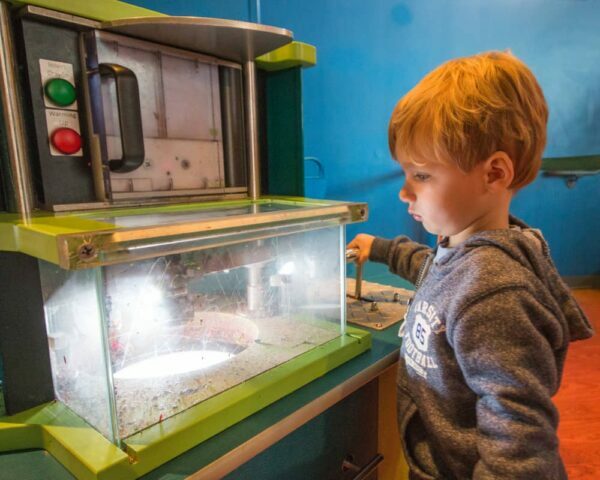 On this floor, kids can use their tokens to purchase modeling clay or to make their own crayons. 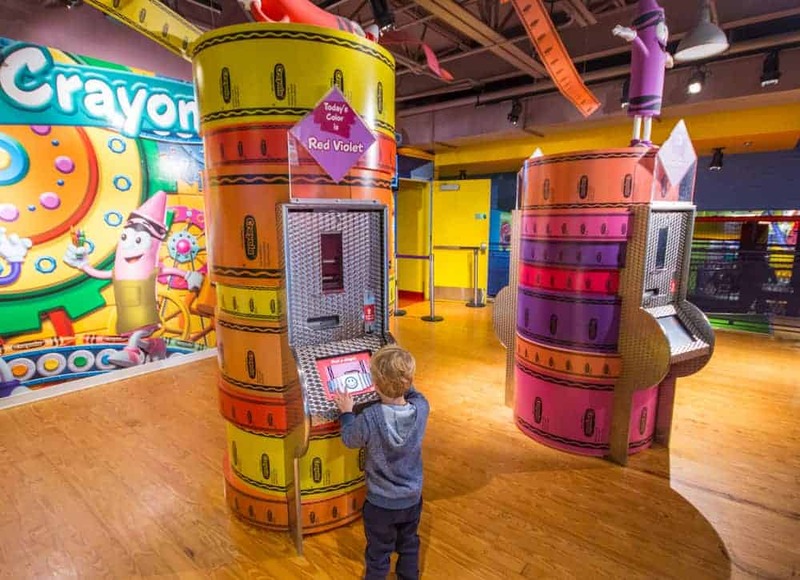 While the colors for the crayons at the Wrap It Up exhibits are predetermined, kids can customize the wrapper and then put it on their own crayon. Creating your own crayon wrapper at the Crayola Experience. This floor also features a fantastic live show, “The Crayola Factory.” This short show features a presenter along with several cartoon crayons. While I wish Crayola would open their nearby factory for tours, this is a nice substitute as it goes through the process of making crayons, and kids are even able to take one of the created crayons with them when they leave. The bottom floor features a second show. This show is a rotating entertainment show that is shown in the museum’s cafe. The first floor also features a very large gift shop and is home to the world’s largest crayon. 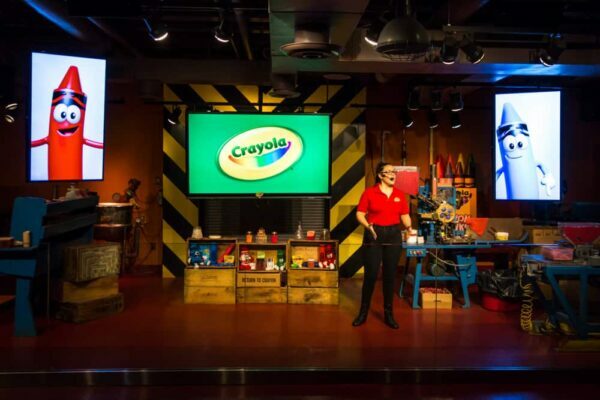 There is a fantastic live show that features a demonstration of how crayons are made. Overall, the Crayola Experience is a great stop for any kid that loves art. 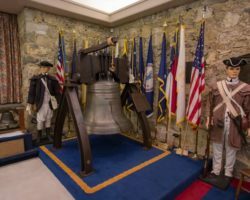 The activities are geared so that kids of nearly any age will be able to enjoy them, though younger kids may need help with many of them. However, this is a great family attraction that shouldn’t be missed no matter how old your kids are. 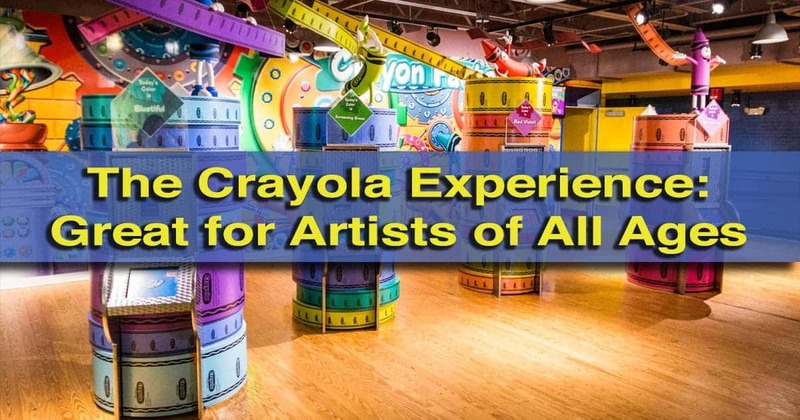 If you plan to go, get your tickets before you leave on the Crayola Experience’s website. You’ll not only be able to skip the line, but you’ll also save a bit of money on your tickets. The Crayola Experience is fun for artists of all ages. For parking, there is a parking garage next to the Crayola Experience in Easton. While this is convenient, it’s not especially cheap. If you want to save a few dollars, street parking is only $1 an hour. 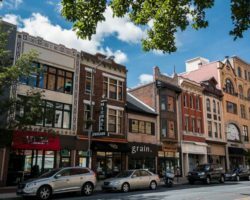 Just make sure you park on a side street that allows at least three hours of parking (enough time to visit on quieter days), and keep an eye on the time to ensure you don’t get a ticket. Note: My visit to the Crayola Experience was hosted by the site. However, the opinions expressed are my own. 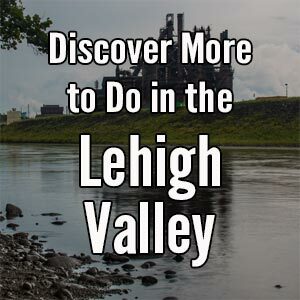 Looking for other great nearby destinations? 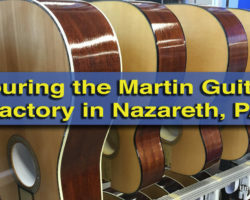 Check out the Martin Guitar Factory Tour, America on Wheels, and the National Canal Museum. Adults won’t want to miss the fantastic Weyerbacher Brewery.